← No Phone Booth Necessary. the raw and often frightening aspect of ceremonial garb. She highlights the creativity of the individuals morphing into a fantastical representation of themselves. The subjects have cobbled together materials gathered from the immediate environment to idealize their vision of mythical figures. While still pronounced in their personal identity, the subject’s intentions are rooted in the larger dynamics of religious, political and cultural affiliation. Establishing these connections is a hallmark of Galembo’s work. 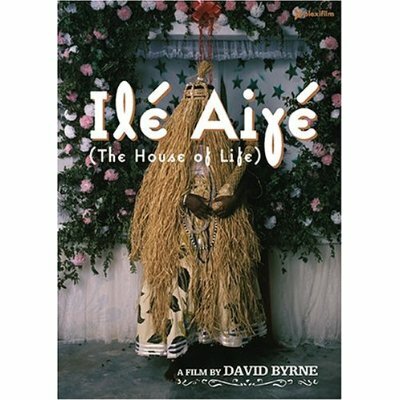 Visceral is a word one hears a lot when looking at Galembo’s brooding images, for example, this cover for David Byrne’s 1989 film, Ile Aiye (The House of Life), or in her books, Divine Inspiration from Benin to Bahia; Vodou: Visions and Voices of Haiti; and Dressed for Thrills: 100 Years of Halloween and Masquerade Costumes. In their blunt physicality and florid intensity, the works evoke questions on all from the unplottable mysteries of reverence; to racist assumptions about whose art, apparel, and culture is the “most sophisticated” or “best”; to the inverted economics implied when selling pictures for sums their subjects wouldn’t earn in decades, especially when the exchange is done racially. In other words, when you gaze at these utterly compulsory photos, the waters will be troubled. 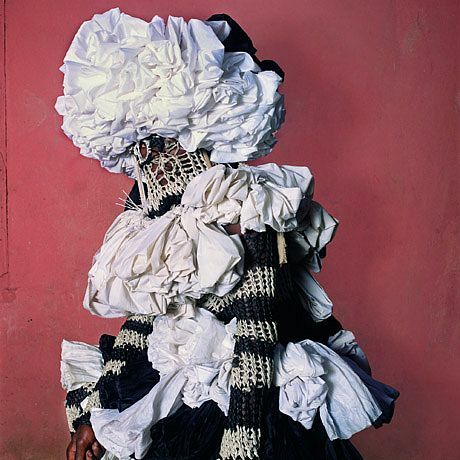 Her work is a wonderful tribute to the Yoruban religion and orisha veneration. EXCELLENT.